Give your family the right tools to be successful in your journey to better health and wellness. join the free challenge & start building healthier habits! Don't miss out. RSVP for our next FREE group. What is the Family Wellness Challenge? The Family Wellness Challenge is a Free 21-day Health and Wellness Program that helps you develop better routines and habits for your family. You'll discover ways to simplify meal planning, lower stress, get more sleep & rest, and put your energy where it matters for a happier home life. 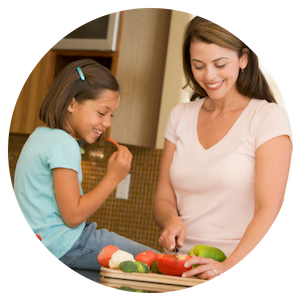 Our goal is to help families meet their health and wellness goals without being overwhelmed or stressed. Getting healthy shouldn't be hard. This Free program makes it easy. helped me get back on track! I just finished the 3 week challenge and I feel like I now have the tools to take care of my family without feeling so rushed and overwhelmed all the time. We now have better routines in place and feel more connected as a family. And the daily emails and tips with recipe suggestions were really helpful! ready to kick-start healthy habits? The challenge is FREE but spots are limited and you must RSVP to join. 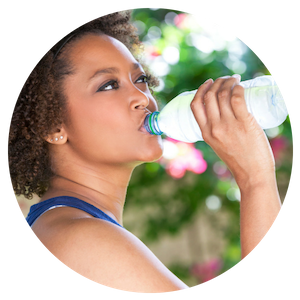 You'll also get our free health & wellness newsletter, tips and updates.